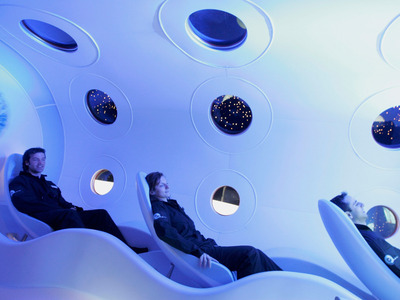 Getty ImagesWhen money is no object, a $US200,000 trip to outer space is no big deal. 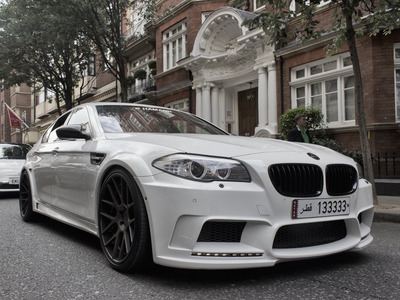 The world’s ultra-wealthy spend money on things that most people can’t even fathom buying. One tech billionaire bought his own Hawaiian island, and a hedge fund manager spent at least $US8 million on a 14-foot preserved shark. 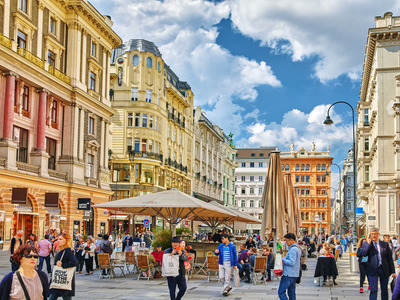 From private islands to dinosaur fossils and tickets to outer space, here are 10 things you’d only buy if you had more money than you’d ever need. When you have more money than you know what to do with, it might not seem like a big deal to spend $US8 million on a preserved shark, $US2.2 million on a gold bathtub, or millions more on luxurious superyachts and private islands. 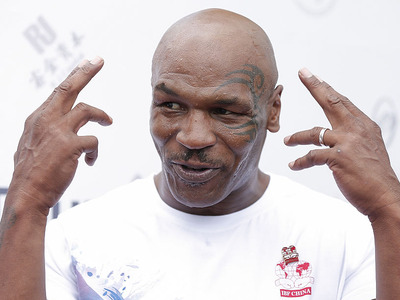 Business Insider previously calculated that the typical billionaire can afford to spend $US80 million a year. Here are 10 outrageously expensive things millionaires and billionaires spend their money on. Getty ImagesThe cabin of a prototype Virgin Galactic spacecraft in 2007. Celebrities Ashton Kutcher and Katy Perry are among those who have reportedly bought tickets for a space tour aboard Richard Branson’s Virgin Galactic spacecraft. 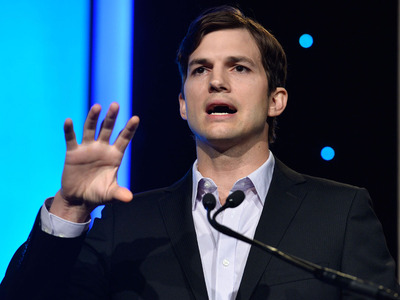 Kutcher put down a $US20,000 deposit for his $US200,000 ticket in 2012. Perry bought a $US200,000 Virgin Galactic ticket as a birthday gift for her now ex-husband Russell Brand in 2010. 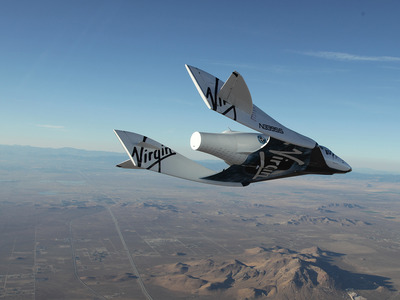 Branson said in May 2018 that Virgin Galactic was two or three test flights away from taking passengers to space. When money is no object, what’s a few hundred thousand dollars spent on the remains of a long-dead creature? 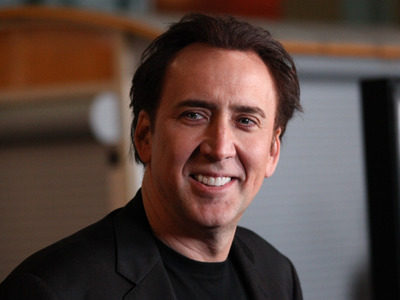 In 2007, Nicolas Cage outbid Leonardo DiCaprio for a $US276,000 Mongolian dinosaur skull. 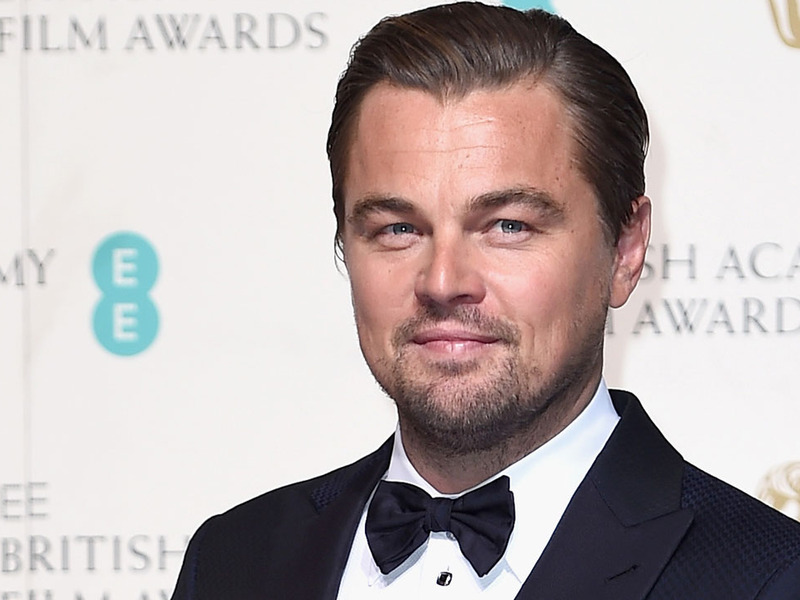 The skull turned out to be stolen, so Cage later had to give it to US authorities. 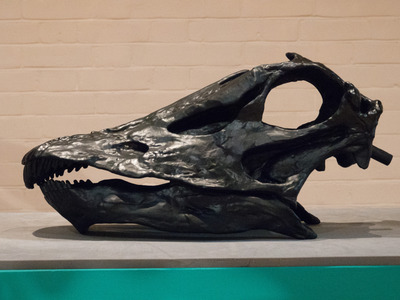 At an auction in Paris in June 2018, an unidentified buyer spent about $US2.6 million on the fossil of a dinosaur thought to be from the Allosaurus genus. In 2014, billionaire hedge fund manager Steve Cohen bought a 14-foot preserved shark for between $US8 million and $US12 million. Kristopher McKayMaurizio Cattelan’s ‘America’ installation at the Solomon R. Guggenheim Museum in New York. One way to show that you’re ultra-wealthy is to surround yourself with as much gold as possible. 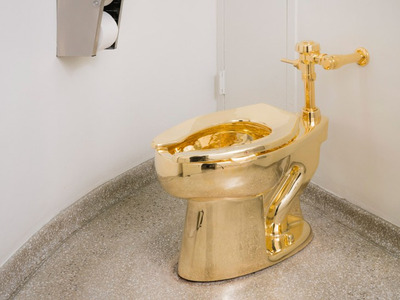 A Hong Kong jeweller spent $US3.5 million building a bathroom made entirely of gold and precious jewels, including a 24-carat solid gold toilet. Built in 2001, the room still holds the Guinness World Record for most expensive bathroom. Former professional boxer Mike Tyson once bought a 24-karat gold bathtub for $US2.2 million. 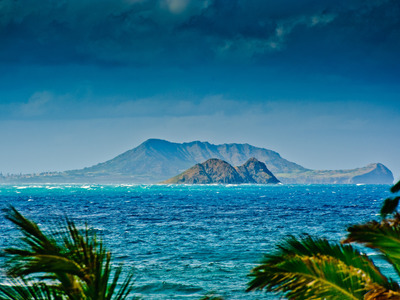 The ultra-wealthy love buying islands. 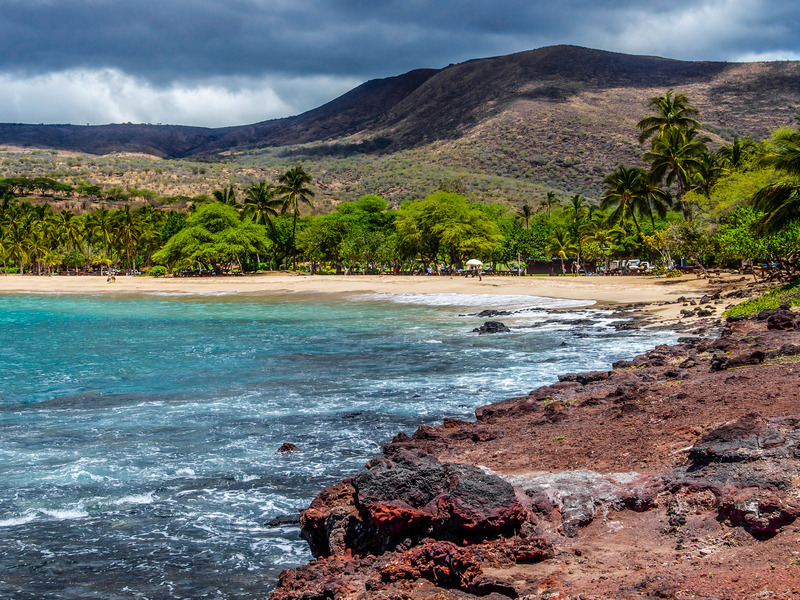 In 2012, billionaire Oracle founder Larry Ellison bought 97% of a 90,000-acre Hawaiian island for $US300 million. Shutterstock/MH Anderson PhotographyLanai is known as the ‘Pineapple Island’ because it once produced 75% of the world’s pineapples. 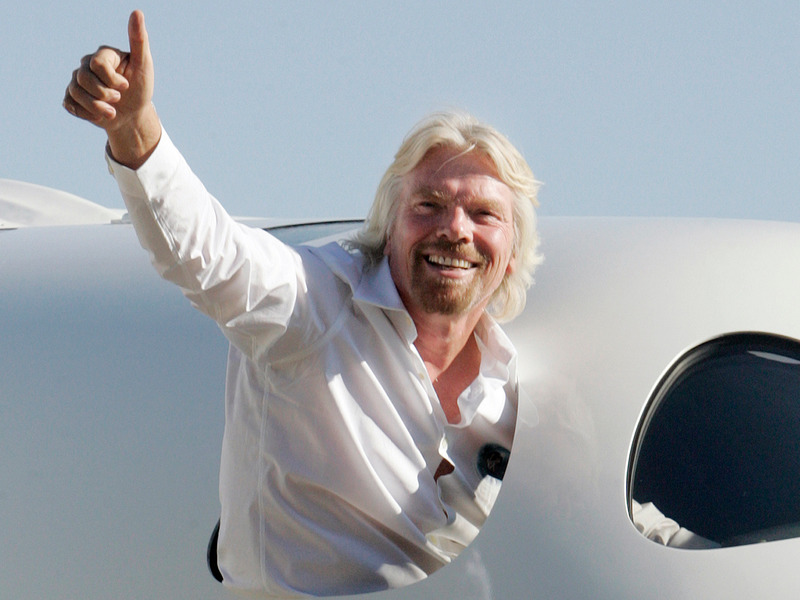 Sir Richard Branson bought Necker Island in the British Virgin Islands for about $US320,000 dollars in 1979. 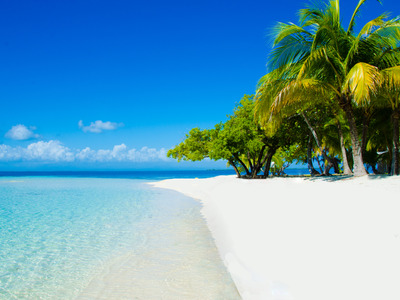 And Blackadore Caye, a small island off the coast of Belize, was purchased by Leonardo DiCaprio for $US1.75 million in 2005. 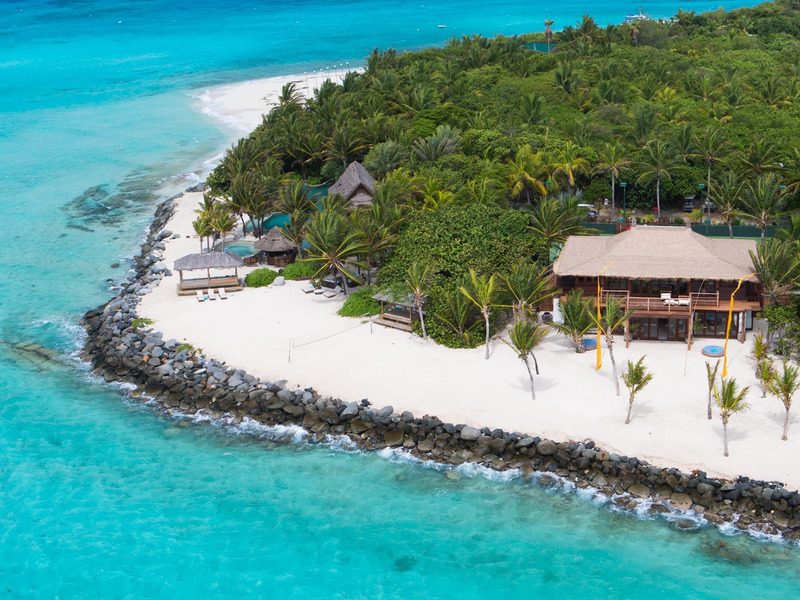 Shutterstock/Simon DannhauerBlackadore Caye (not pictured) was 104 acres of wild, unpopulated land before DiCaprio bought it. The actor-turned-activist, who’s worth an estimated $US29 million, has been building an eco-resort on the island, which will be powered by 100% renewable energy and is set to open at the end of 2018. Some of the world’s wealthiest people are owners of superyachts. 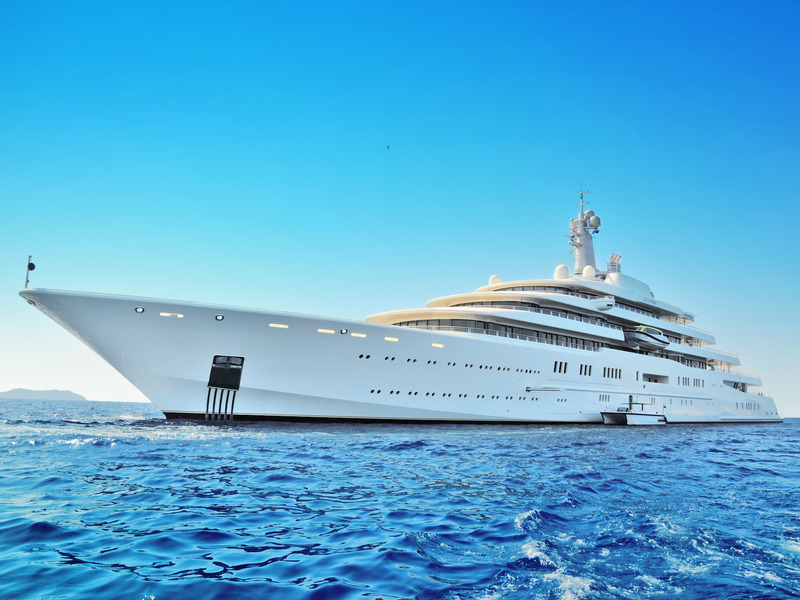 Russian billionaire Roman Abramovich bought his yacht, Eclipse, in 2010. Reports of its cost vary, ranging from $US600 million up to $US1 billion. 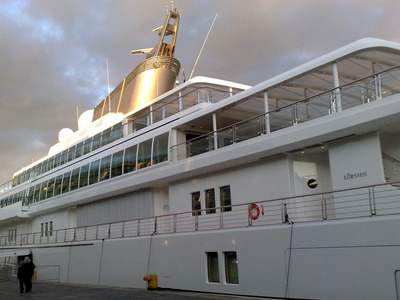 The Eclipse has two helipads, a missile defence system, two swimming pools, a cinema, hair salon, and restaurant. 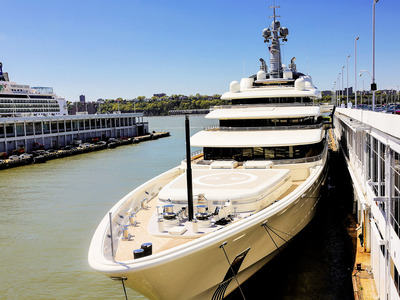 Entertainment mogul David Geffen owns a $US590 million superyacht know as the Rising Sun, which includes a basketball court and space for 18 overnight guests. In April 2017, Geffen hosted the Obama family on his yacht. 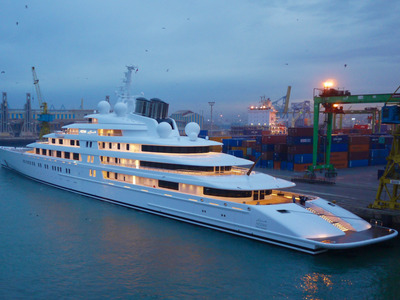 Sheikh Khalifa bin Zayed Al-Nahyan, president of the United Arab Emirates, owns the world’s largest motor yacht, which is 590 feet long and cost $US600 million to build. Shutterstock/Andy GinnThe Azzam yacht docked in Casablanca, Morocco, in 2014. 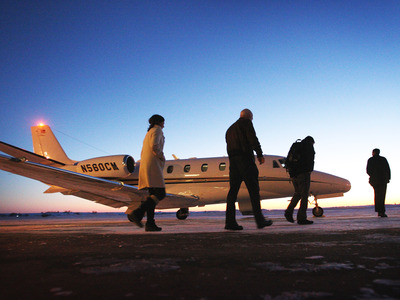 Private planes are another luxury on which the super-wealthy love to splurge. In 2007, Prince Alwaleed bin Talal of Saudi Arabia spent $US319 million for a double-decker superjumbo jet nicknamed “The Flying Palace,” made renovations that put the value at more than $US500 million, and then promptly sold it to an unknown buyer. Businessman Alisher Usmanov, one of the wealthiest people in Russia, owns a business jet Airbus A340-300, a plane that costs at least $US350 million and can seat up to 277 people. Jeff Bezos, the richest man in the world, owns a $US65 million Gulfstream G650ER private jet. 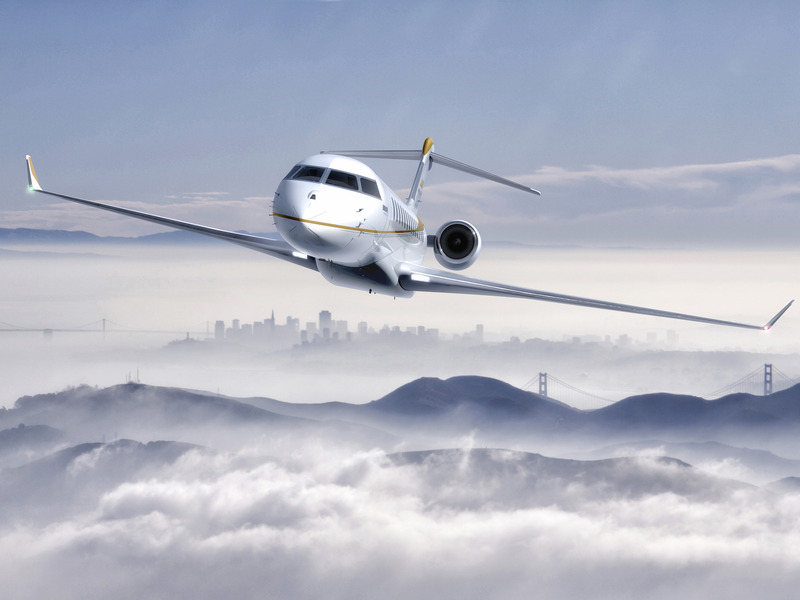 Bill Gates owns a relatively modest $US40 million Bombardier BD-700 Global Express plane. If you had millions (or billions) of dollars to spare, would you buy props and other paraphernalia from your favourite films? Many do just that. 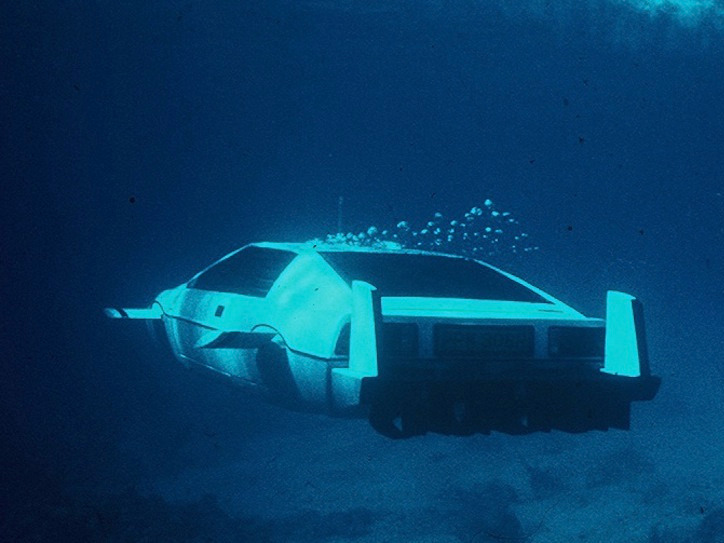 In 2013, Elon Musk bought the Lotus Esprit car from James Bond’s “The Spy Who Loved Me” for $US886,000. In the movie, the car turns into a submarine. “I was disappointed to learn that it can’t actually transform. What I’m going to do is upgrade it with a Tesla electric powertrain and try to make it transform for real,” Musk said. 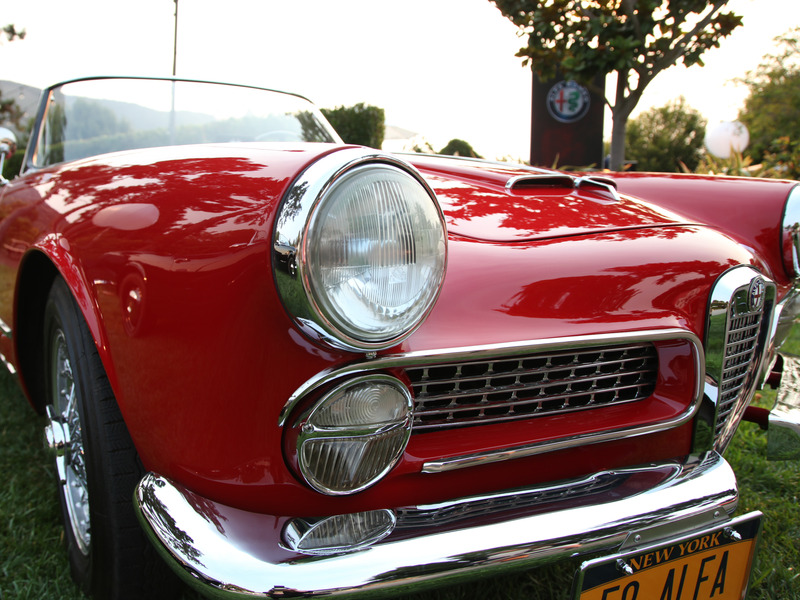 Many of the world’s wealthiest people like to collect cars. 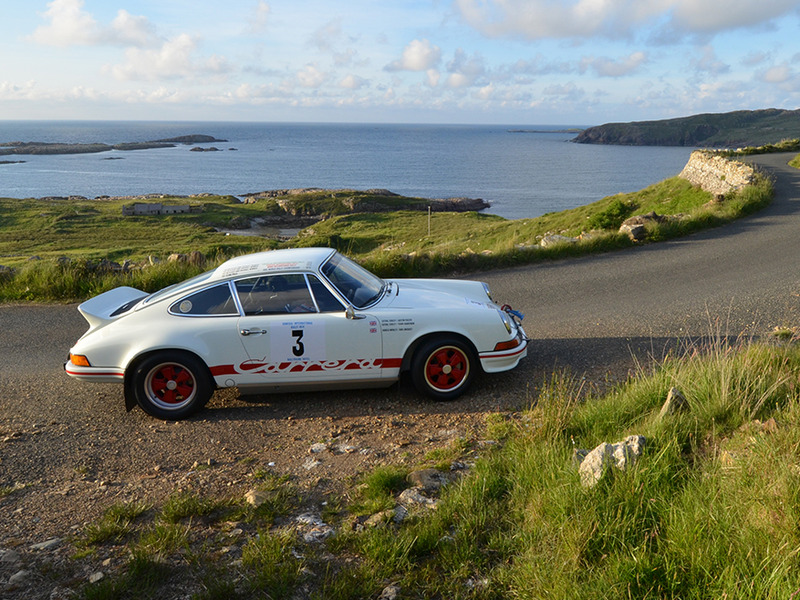 Bill Gates is an avid luxury car collector, with his first big splurge after founding Microsoft being a Porsche 911 supercar. He has various garages that fit 23 cars. Perhaps unsurprisingly, Tesla CEO Elon Musk has owned many different vehicles in addition to his James Bond submarine car. His past cars include an Audi Q7, a Porsche 911, a 1967 E-Type Jaguar, and a Hamann BMW M5 sports car. 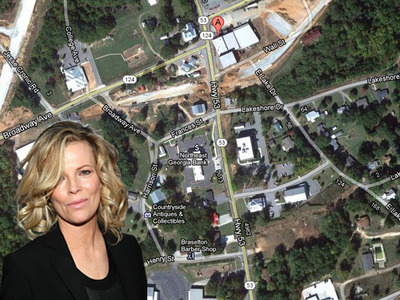 If an island isn’t your thing, you can always buy a town, like Kim Basinger did in 1989. With other investors, she bought 1,751 acres of the 2,000-acre town of Braselton, Georgia, for $US20 million. 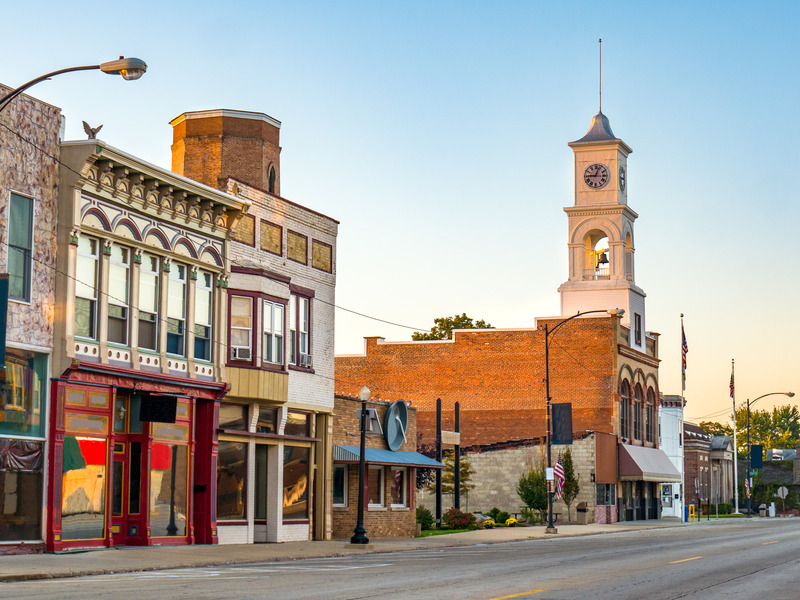 She wanted to turn the town’s farmland into a tourist attraction and film studio, but it was later auctioned off as part of her bankruptcy. Many countries, including the US, require you to meet certain criteria before obtaining citizenship. But in others, including Austria, Cyprus, Malta, Turkey, and certain Caribbean islands, you can simply buy it — for a minimum $US100,000. 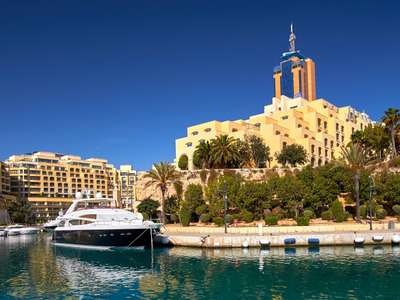 Shutterstock/Razvan Ionut DragomirescuA yacht docked in Portomaso Marina in Malta. 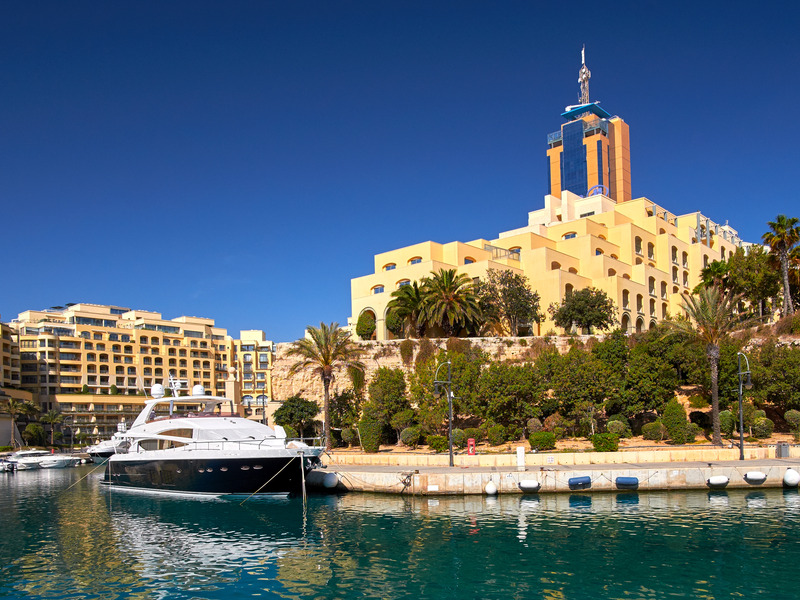 Becoming a citizen of Malta will cost you about $US1 million, while Cyprus runs about $US2.3 million. 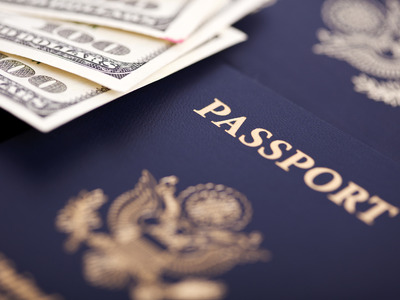 An Austrian passport will cost you a whopping $US23.7 million.